Researchers have found that cooking tomatoes makes them healthier and boosts their cancer-fighting ability. 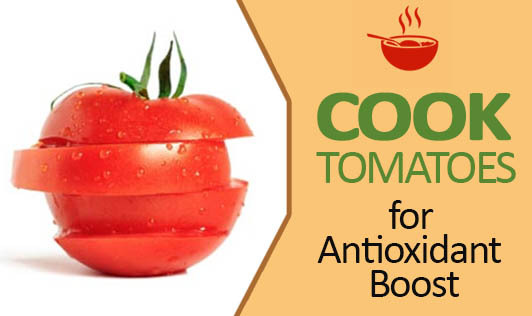 While cooking tomatoes decreases the level of vitamin C in the fruit, it substantially increases the levels of beneficial compounds called phytochemicals. Heat processing enhanced the nutritional value of tomatoes by increasing the lycopene content, a phytochemical that makes tomatoes red. This can be absorbed by the body and also increases the total antioxidant activity. Antioxidants protect the human body from cell and tissue damage.